Delicious vanilla flavoured lactation cookies packed with dark chocolate chips and a subtle hint of coconut. 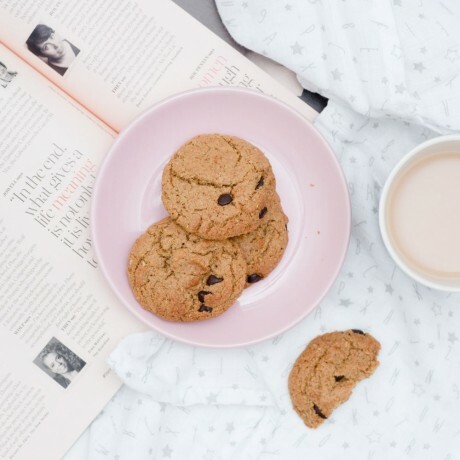 Mama Bites have designed their cookies with nutrition in mind, with the aim to support mums from the inside out! What’s special about these cookies is that they are made using 'galatagogues' which are ingredients that have been traditionally used for generations by mothers to boost milk supply. These cookies include the galatagogues: almonds, oats, brewers yeast and flaxseed. The cookies are made from all natural ingredients, and also contain healthy fats and are free from processed flour, dairy, and refined sugar. The perfect tasty treat for new mums. 1 box of 10 cookies (2 bags of 5). Storage & shelf life: Store in the fridge for 3 weeks, or 2 months in the freezer. How many cookies do I need to eat? Most mums do well with 1-2 cookies a day but everyone is different so this may vary from person to person. Mama Bites wont judge if you choose to eat the whole bag in one sitting! Note for breastfeeding Mamas: although these cookies are designed to help complement a good breastfeeding journey, it's important to know that breast milk works on a supply and demand basis - the more a baby suckles, the more milk your body will produce. Often the main issues a mum experiences are related to the latch, so please get in touch with a qualified lactation consultant if you’re ever having difficulties! Almonds (Nuts), Coconut Sugar, Egg, Coconut Oil, Oats (Gluten), Brewer’s Yeast (Gluten), Chocolate Chips (Cocoa Mass, Xylitol, Cocoa Butter, Sunflower Lecithin), Flaxseed, Bicarbonate of Soda, Himalayan Salt, Vanilla. Ordered some cookies after my SIL in The States sent me the recipe to make them. I Could not be bothered with a newborn and so I found Mama Bites. 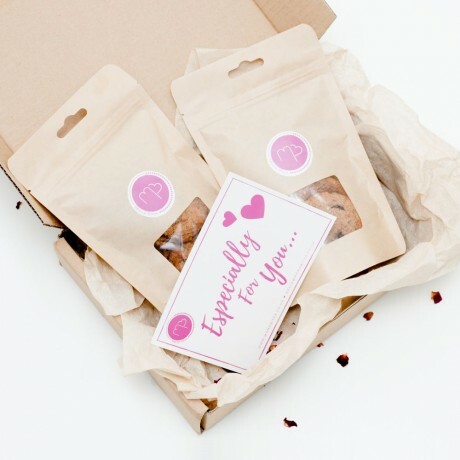 Homemade lactation cookies formulated to support new mums.